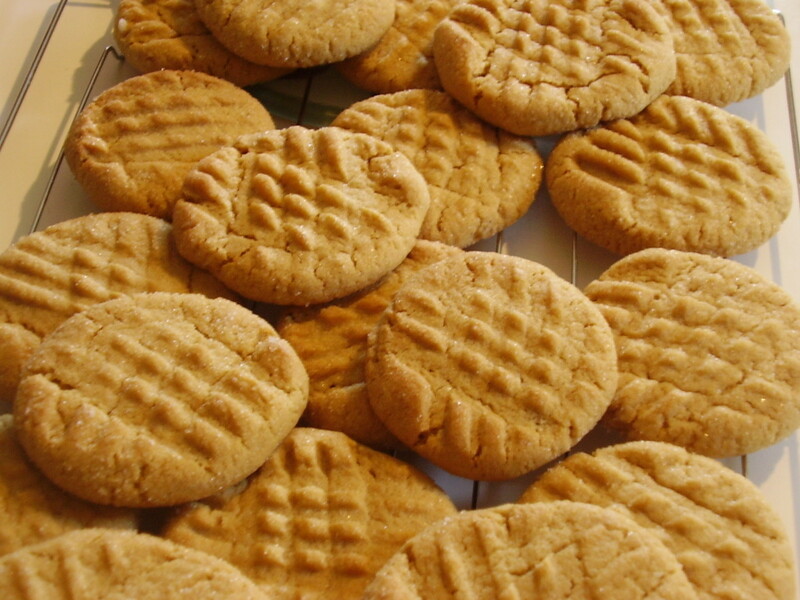 Peanut Butter cookies are a wonderful and tasty treat. I absolutely love peanut butter cookies and decided to share how versatile a cookie they can be. I often bake cookies as gifts around the holidays and sometimes I enjoy a plain, classic peanut butter cookie. Other times I like to get creative and combine use a peanut butter cookie with unique baked creations. This list is of creative ways you can spice up using plain old peanut butter cookies in new recipes. If you love peanut butter cookies, the best place to start is with a basic peanut butter cookie recipe. A classic peanut butter cookie is simple to make and if you have leftover cookies you can use them to create a number of the unique dishes listed below. Check out the below video for a great classic recipe I've tried that makes wonderful moist but crisp cookies. Do you love peanut butter cookies? I prefer other cookies but my family likes these. I remember when I was a kid my mom would regularly make her a peanut butter sandwich then slice a banana and put it right on the sandwich. For those of you who love the peanut butter and banana combination, now you can have it in cookie form. This recipe is from Anna Olson from the Canadian Food Network. These cookies are made like Oreos. You have two banana peanut butter cookies with a banana filling in the middle. I made these for my mother and she was in heaven. If you are looking to take a peanut butter cookie but decorate it then this is the recipe for you. 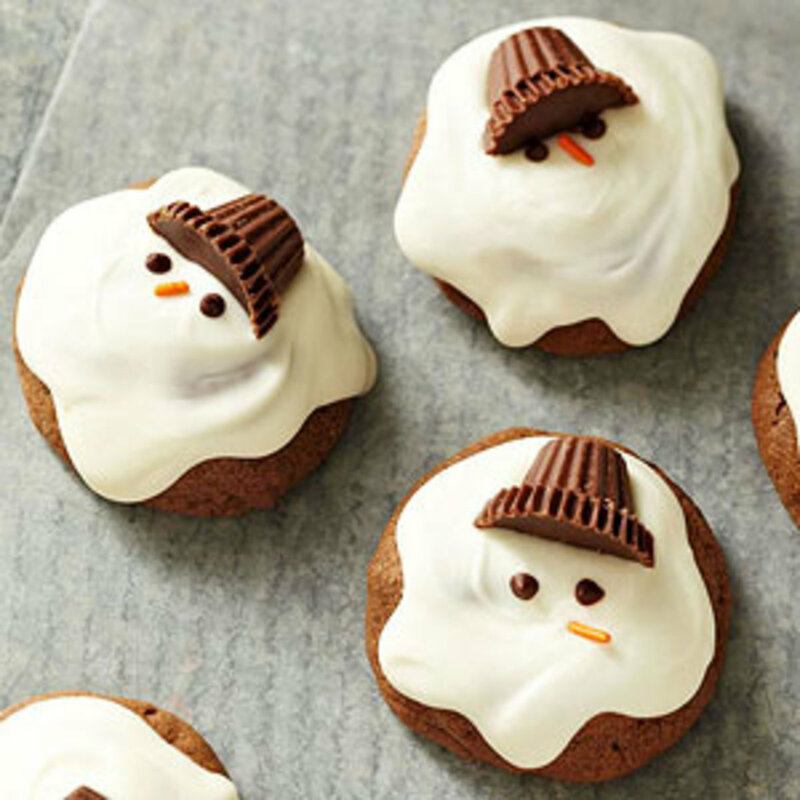 Chocolaty Melting Snowmen are peanut butter cookies decorated with Reece's cups, a white candy coating, and sprinkles. 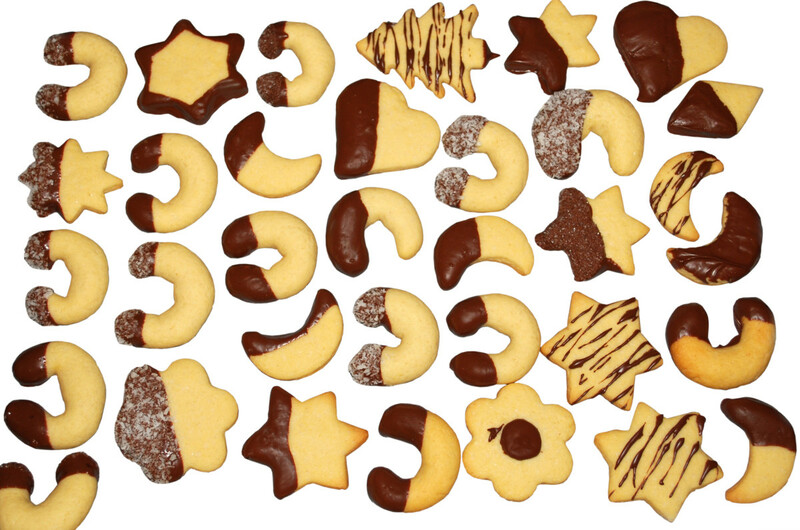 These would be adorable to make for Christmas cookies but the concept could also allow you to be creative. If you add orange food coloring to the white candy coating you could make your peanut butter cookies look like pumpkins for Halloween or could make candy canes with red food coloring. You aren't limited to just making melted snowmen. With creativity and food coloring you could make any image you want with a peanut butter cookie. As a kid a regular food my mom made me for lunch was a good old fashioned PB&J sandwich. I preferred strawberry jelly and would walk away with peanut butter and jelly all over my fingers and face. Now there is another way to eat PB&J in the form of a cookie. 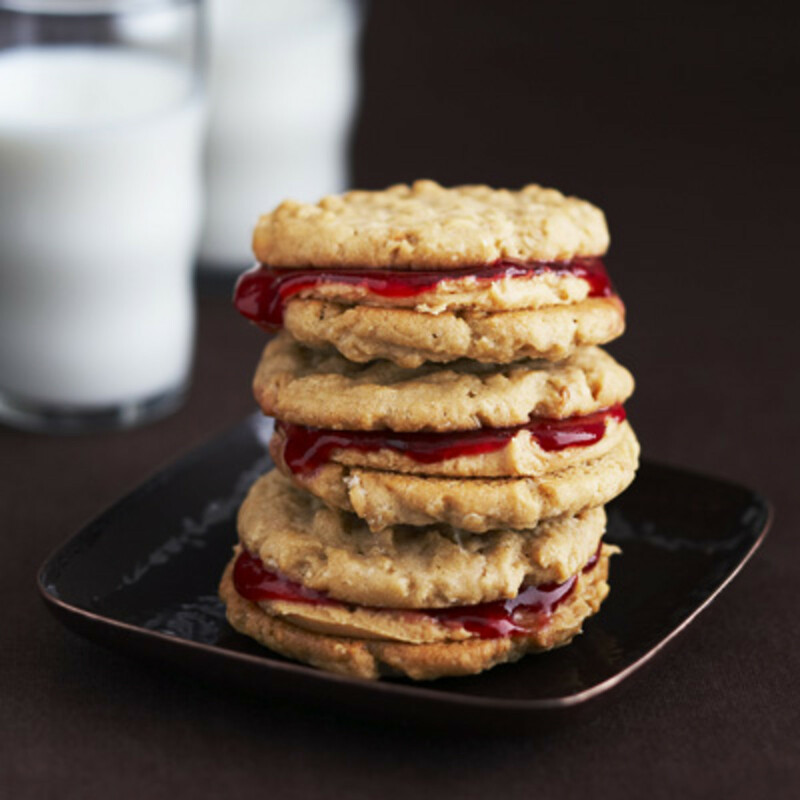 This recipe takes two classic peanut butter cookies and spreads a little peanut butter filling with your favorite flavor of jelly for a new take on an old classic. Do you enjoy a combination of sweet and salty tastes? Sometimes having these two flavors combined in a dessert is absolutely delicious. With peanut butter corn chip cookies you can have the best of both flavor worlds. I know it sounds like an unusual combination but the flavors work together to make a rather tasty "cookie." Now I say cookie with quotation marks because even though the recipe calls it a cookie, it doesn't have flour or any of the things that make a cookie a cookie. It is more of a candy. 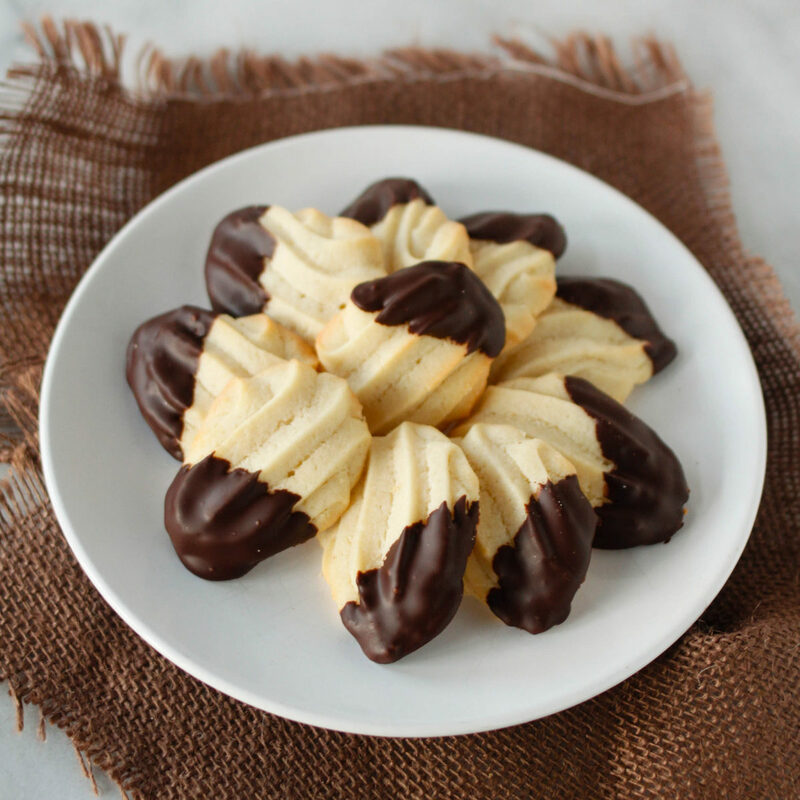 If you've ever made chow main noodle birds nests with chocolate or drizzled chocolate or butterscotch over chex mix to make desserts it is the same concept. 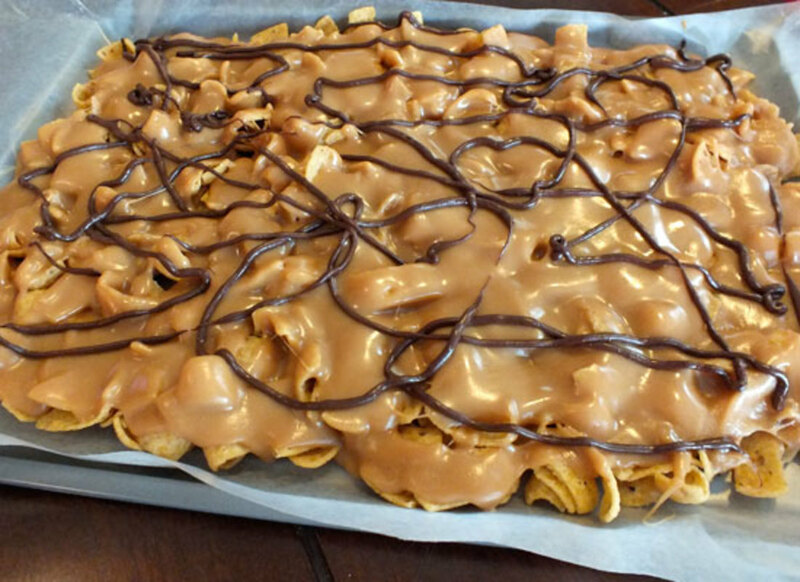 You take melted peanut butter and mix it with a few ingredients then poor it over corn chips. Easy and delicious. For many people, like myself, the combination of chocolate and peanut butter is like a perfect marriage. With this recipe you have the wonderfulness that is chocolate combined with the nutty creaminess of peanut butter. Chocolate peanut butter marbled cookies are beautiful to look at and tasty to eat. You make a peanut butter dough and a chocolate dough, roll them out flat on top of each other, then roll them up and cut them in the same way you'd do making cinnamon rolls. 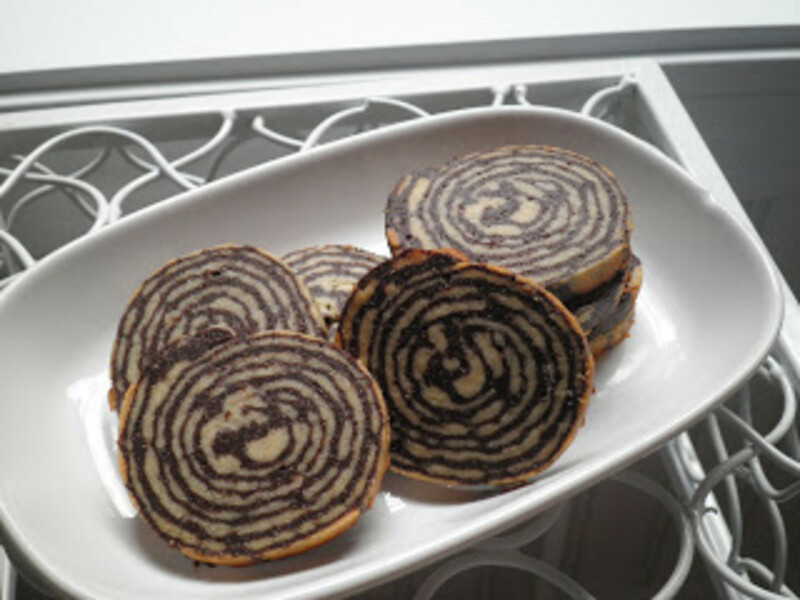 You get a nice swirl of both doughs using this method and your cookies turn out beautiful to look at. Raw cookie dough is wonderful in its own way. To take raw peanut butter cookie dough and turn it into a candy is a way to enhance it's wonderful flavor. This recipe doesn't require any baking and is incredibly simple. You only need to mix up your dough, roll it into small balls, and dip it in white chocolate. I'm sure you could use milk chocolate if you prefer. This recipe makes 72 truffles and would be a great idea for gifts or for parties. With these cookies you can combine two peanut butter foods into one. Captain Crunch and peanut butter cookies are a match made in heaven. I'm sure you could also use Reece's Puffs Cereal with similar results. These cookies follow a classic peanut butter cookie recipe except they replace some of the dry ingredients with crushed cereal instead. 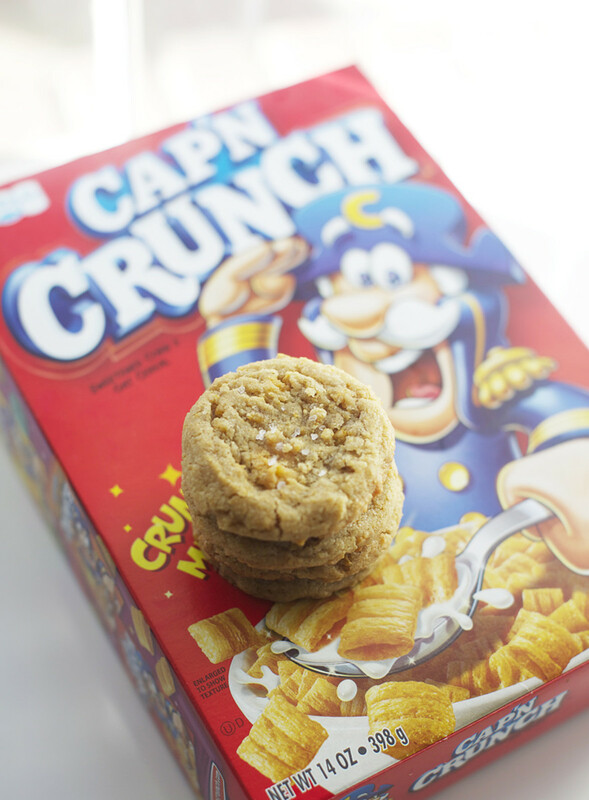 The Captain Crunch adds a crunchy texture into a soft cookie for and lovely texture. When I was a kid I was considered weird because I hated cake. For my birthday instead of cake my mom always made me a giant cookie on a pizza pan. 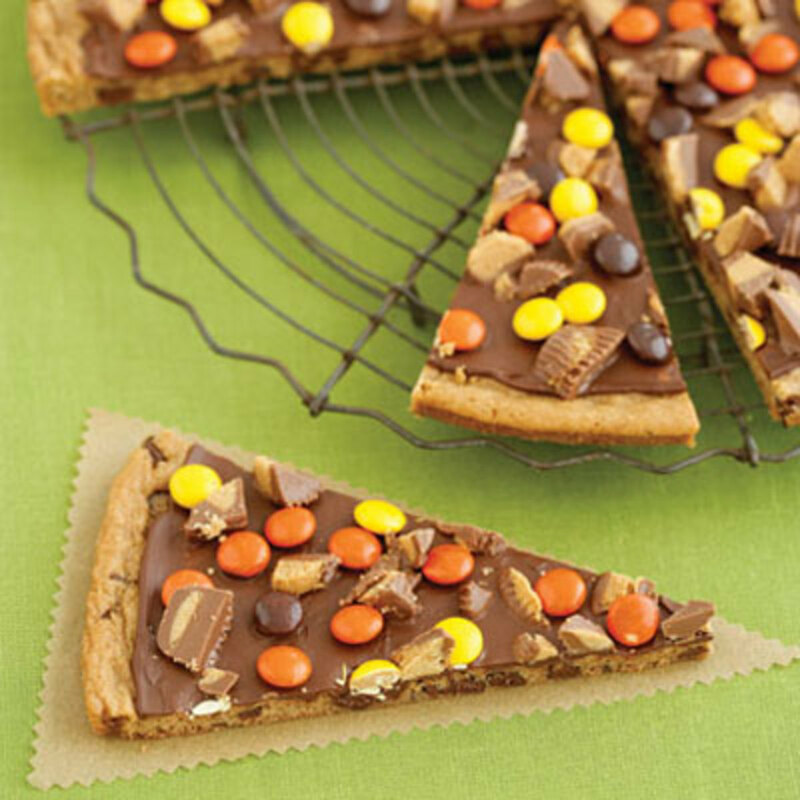 Peanut butter cookie pizzas are fun and could be a great project to make with kids. They can be decorated with icing, Reese's cups and other peanut butter candies, sprinkles, etc. 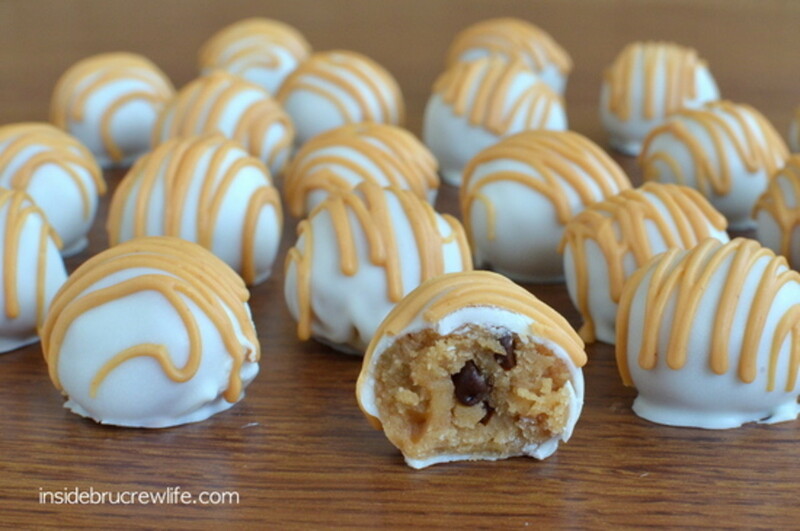 The recipe I've listed for this says use chocolate chip dough then cover with a peanut butter candies. My suggestion is to take this recipe for classic peanut butter cookies and use that dough instead if you want a true peanut butter cookie pizza. 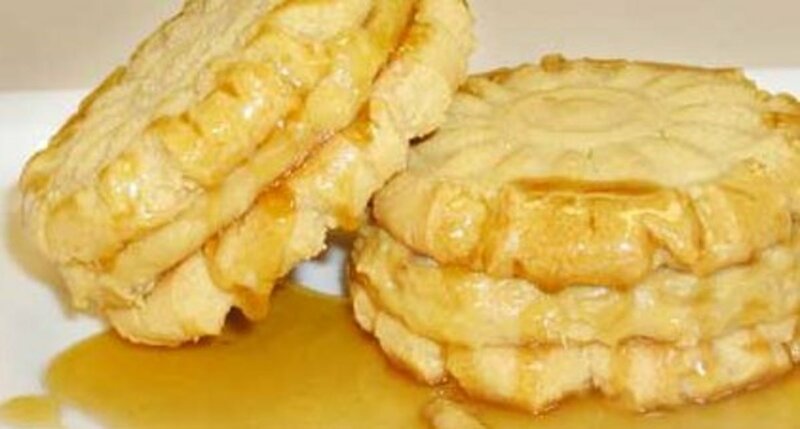 Here is another recipe showing the versatility of peanut butter cookie dough. 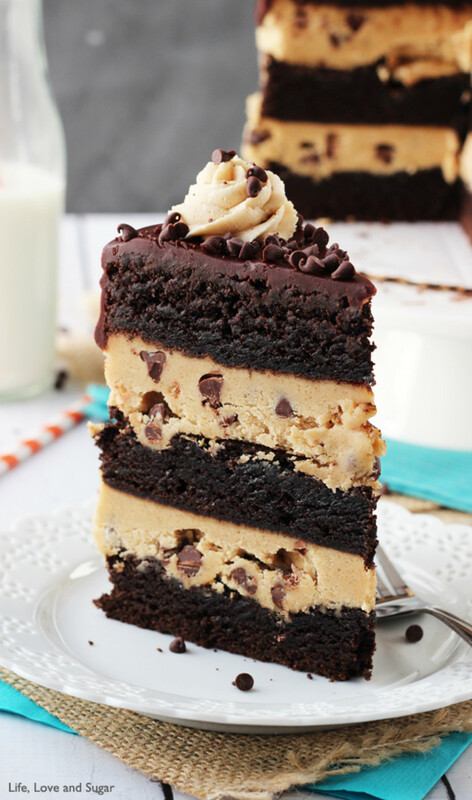 This cake is a combination of brownies, cookie dough, peanut butter frosting, and chocolate ganache. Other than baking browings and mixing up your cookie dough and toppings this recipe is very simple and the cake you come out with is incredibly beautiful. It's a wonderful combination of both chocolate and peanut butter and is a real crowd pleaser. I love pie! I love peanut butter cookies! 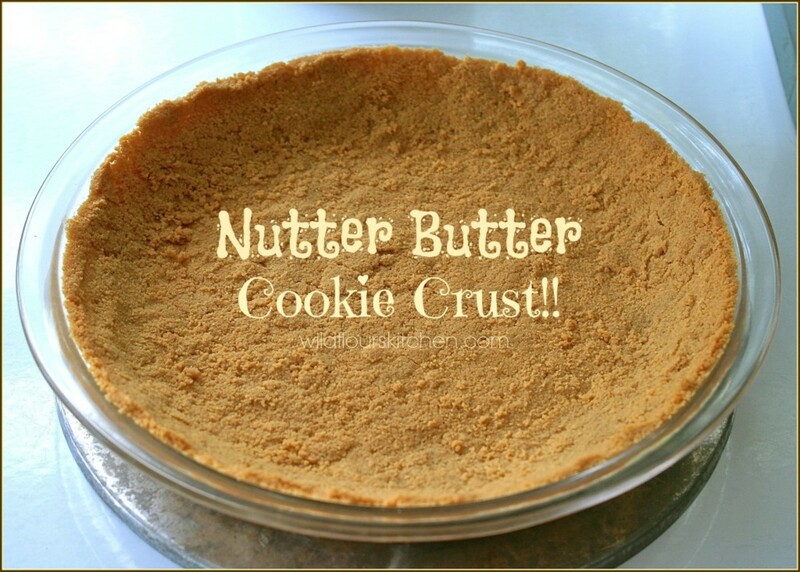 Why not make pie with a peanut butter cookie crust? Even though the recipe above is for chocolate peanut butter cheesecake (delicious by the way) you can use a peanut butter pie crust for any pie flavor you want. The variety is endless. 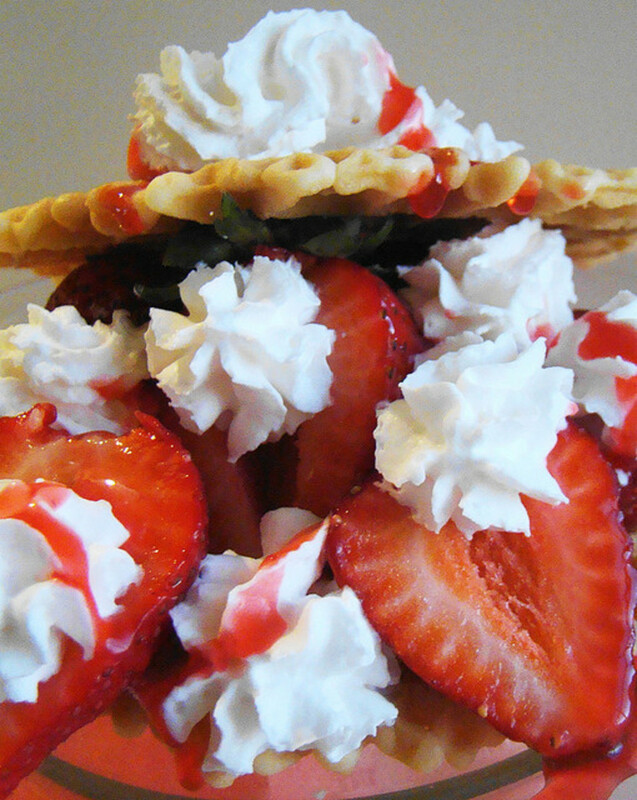 You could make chocolate pie, plain cheesecake, pumpkin pie, or any other flavor you want. The recipe says use premade cookies, Nutter Butters, but if you are like me around the holidays with plenty of leftover cookies you can use those. Just crush them really good and mix them with a bit of butter and you can press it into a pan to make a delicious crust for your dessert. Kristen Howe, Thank you so much! 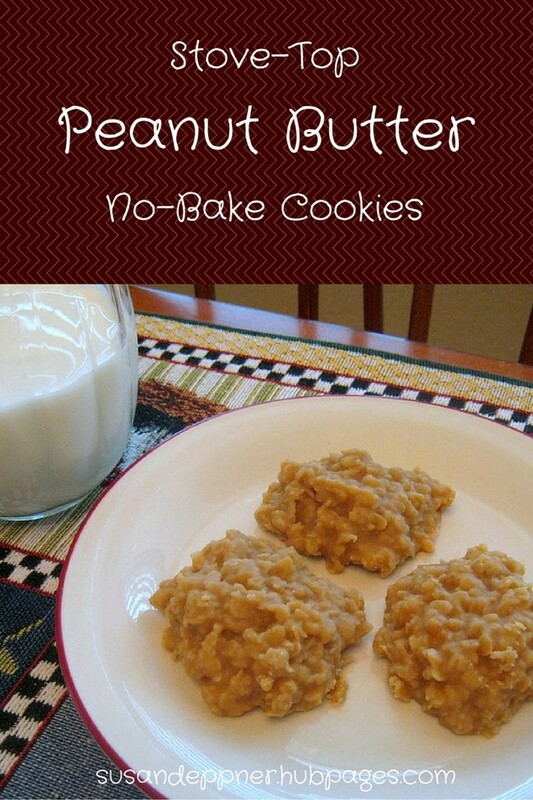 I love peanut butter cookies and all of these recipes are amazing. Lots of yummy peanut butter cookies I would love to try to make, bake and eat. Voted up for useful! Thank you! It is amazing how one kind of dough can be used so many different ways. I haven't tried flourless ones before but I have made peanut butter cookies with splenda instead of sugar for relatives with diabetes. Peanut butter is so versatile that a cookie can be made out of many ingredients most people may not think of using. Very creative ways for basic cookie dough! Love it. I make flourless peanut butter cookies now since I have diabetes. I didn't know that one could even make cookies without flour, but they turn out quite well.